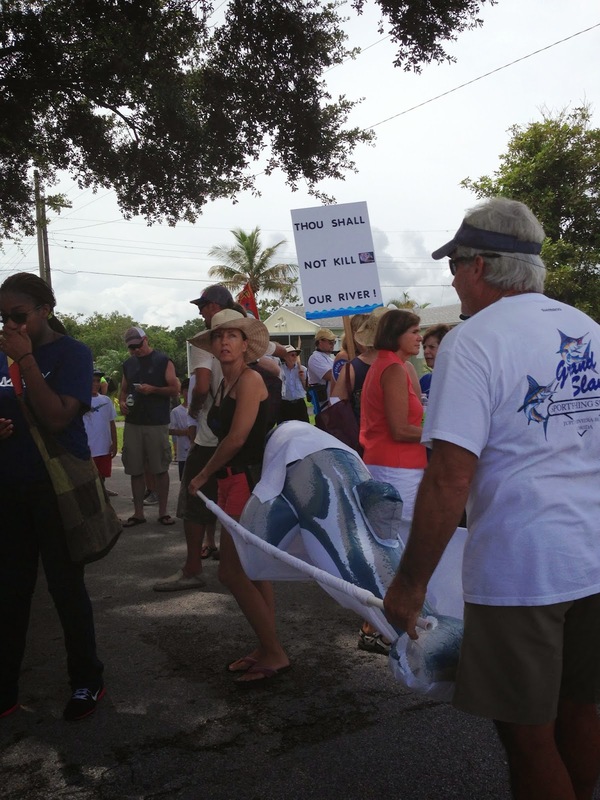 Two thousand activists from coastal areas devastated by Lake Okeechobee discharges last year gathered at the 2nd Annual SAVE OUR RIVER CLEAN WATER RALLY in Stuart on Sunday to voice their concerns and propose solutions. 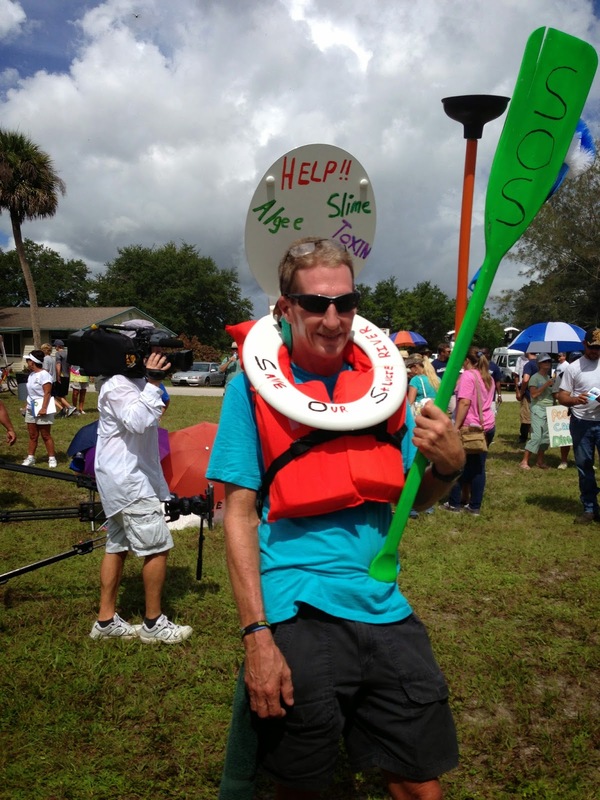 Rally attendees sent a strong message to Tallahassee: We are every summer just one tropical storm away from a repeat of 2013, and we refuse to accept excuses for inaction. Last year, massive discharges into the Caloosahatchee and St. Lucie rivers devastated coastal estuaries, spurring thousands of residents to protest. 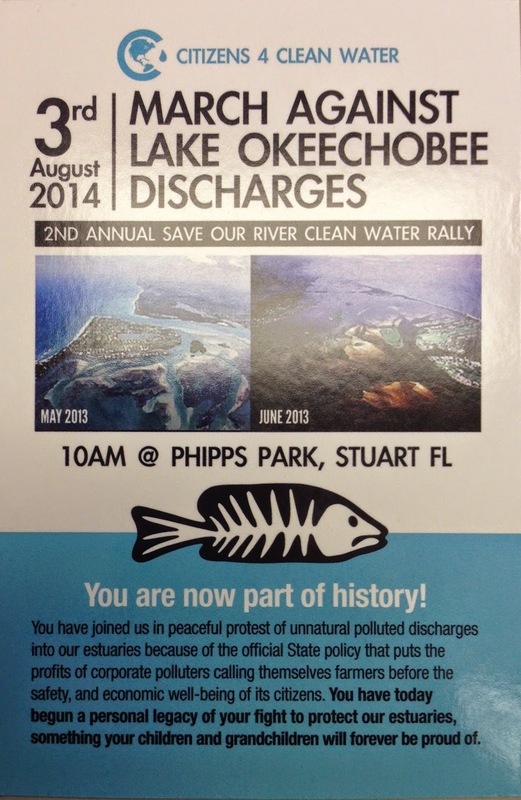 This summer's rally, before any harmful Lake O discharges have seriously impacted the estuaries, shows the extent and depth of this new expanded grassroots movement. The crowd included speakers and supporters from a long list of organizations: Citizens 4 Clean Water, Indian Riverkeeper, Rivers Coalition, Florida Oceanographic Society, Earthjustice, Arthur R, Marshall Foundation, Save the Manatee Club, Martin Memorial Hospital, Sierra Club, Audubon Florida, Love the Everglades, River Kidz and more. 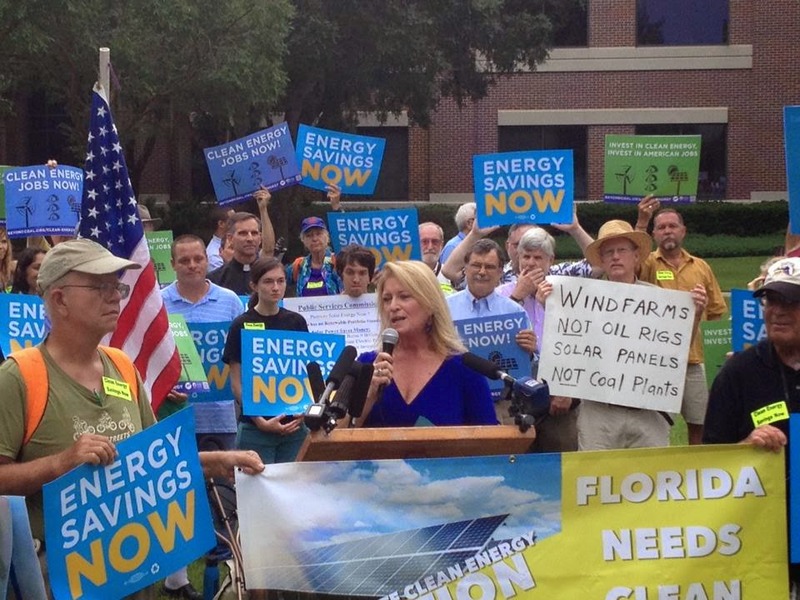 Two weeks ago, more than 100 members of the Sunshine State Clean Energy Coalition descended upon the Public Service Commission (PSC) hearing in Tallahassee as it reviewed energy companies' request to reduce efficiency standards. The Coalition called on state regulators rather to strengthen, not weaken, energy efficiency programs to save consumers money on their power bills, create jobs and promote cleaner air. Members of the Coalition held its "Rally for Energy Savings" outside the PSC hearing because inside the public was barred from speaking on the issue of how Floridians' energy needs are met over the next 10 years. to comments from the public. 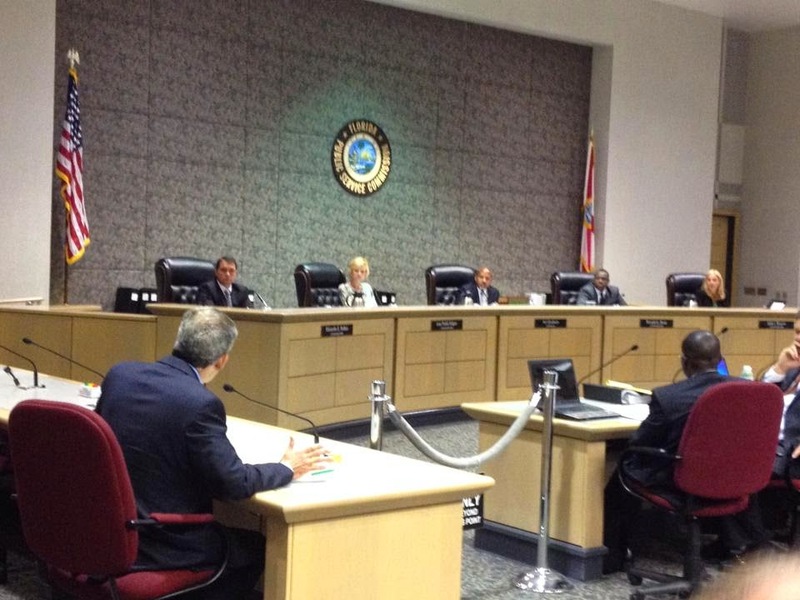 Bill Bucolo, President of the Democratic Environmental Caucus of Florida and a leader of the Coalition, called on the commissioners to reject the companies’ request to slash energy savings programs. Duke Energy, Tampa Electric and Florida Power & Light have proposed to gut their energy-saving goals by 93 percent. Currently, none of Florida’s major utility companies meet national industry standards for energy savings programs, meaning Florida consumers are missing out on savings that people living in other states enjoy. Duke Energy Florida, part of the nation’s largest electric company, has significantly weaker energy savings programs in the Sunshine State than in North and South Carolina and Ohio. “Duke Energy is saving their customers in Ohio, North Carolina and South Carolina money through good energy efficiency programs, but they’re not doing the same for their customers in Florida. Florida consumers should get the same opportunities and benefits as Duke customers elsewhere,” said Kelly Martin, senior campaign representative with Sierra Club’s Beyond Coal campaign. 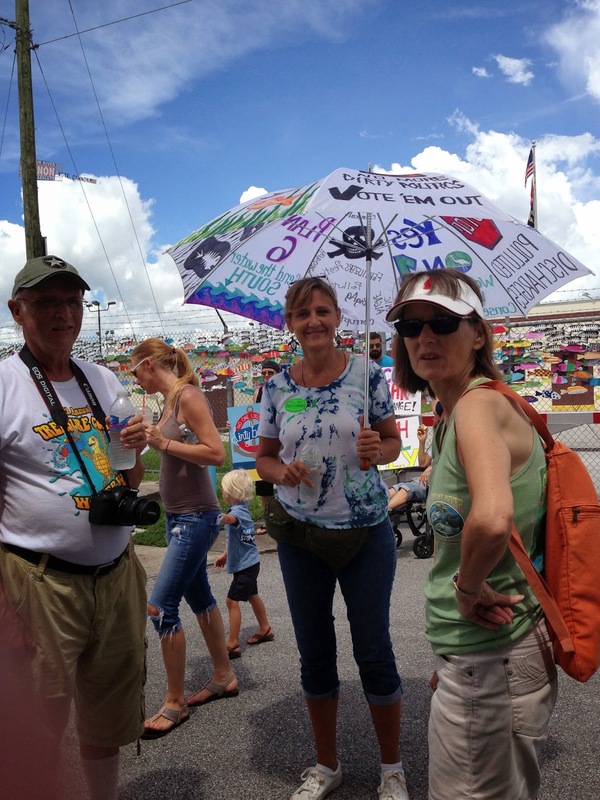 Ralliers also heard from Susan Glickman, Florida Director with the Southern Alliance for Clean Energy Action Fund and Kim Ross, President of ReThink Energy Florida. also spoke out against the utilities' attempt to undermine their ratepayers and the people of Florida. Let the regulators know that you want energy companies to be held to the highest standards for delivering energy savings and solar programs. 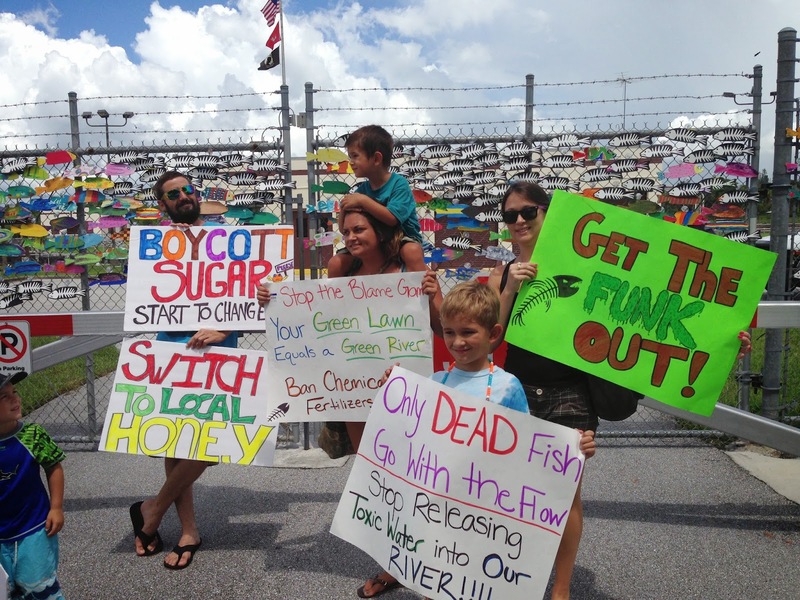 Last week, Palm Beach County voted to stop industrial development from spreading west into agricultural land after the Sierra Club Loxahatchee Group and others opposed a plan by rock mining company Palm Beach Aggregates. Agriculture has been a driving economic force and a development buffer in Palm Beach County. The County has issued $150 million in bonds to protect its "Agricultural Reserve" and buy areas to be preserved as natural areas and open space. The proposed development changes were not in the Agricultural Reserve, but the change of status would create a precedent of rezoning agricultural land for industrial use thus threatening other agricultural areas. During the last 20 years, Palm Beach County has proceeded to move development further west into rural and agricultural areas. Despite protections for agriculture, the Board of County Commissioners has repeatedly changed the Comprehensive Plan to open new areas to large scale development. In the latest push involving west of the L8 Canal and west of Wellington, Palm Beach Aggregates had agreed to give up development rights on the property for a 2,000-home development on the east side of the canal. After selling that property on the east side it immediately came back and attempted to break the agreement asking for development on the west side of the canal. Palm Beach County officials noted that the developer had just agreed to the 2,000 homes and to not move forward with a request to develop on the west side of the canal. Within a month the company was back asking for new changes to the counties development plant, and to transmit to the state a request to change the development status of the property on the west side of the canal to allow 142 acres for industrial use. The tragedy is that before rock mining this area was a Cypress Forest holding water and protecting wildlife. It was proposed to be used as a wildlife corridor and sits north of the Loxahatchee Wildlife Refuge. It has now been turned into deep open rock pits. 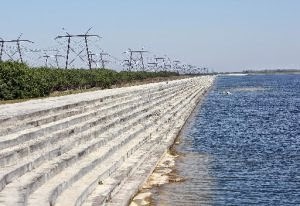 One is the L-8 Reservoir that was purchased by the South Florida Water Management District intended to store water for the Everglades. 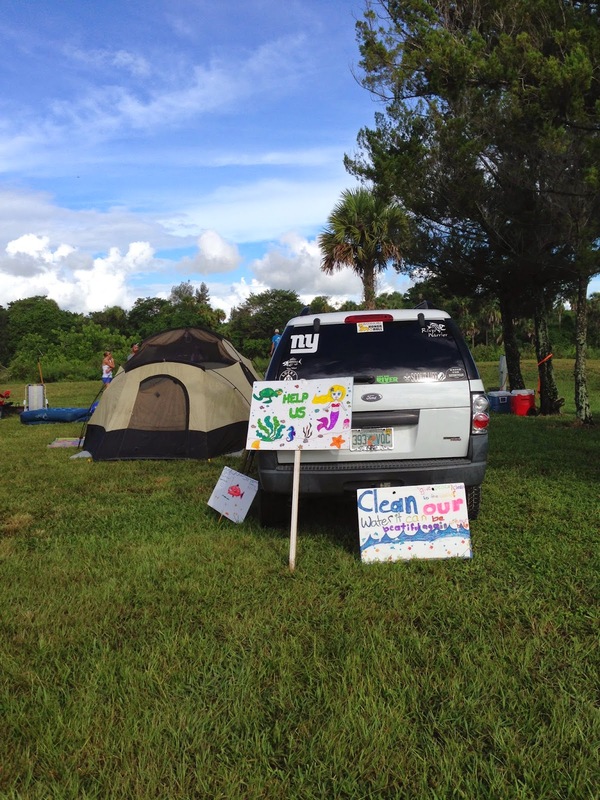 An industrial site near the L-8 canal could lead to industrial chemicals polluting the Everglades Ecosystem. Further, pollution from industrial activity could pollute nearby water storage and agricultural areas. The county needs to protect its agriculture and natural areas.